The Decline Of Liberal Christianity? Last week, in the religion section of the New York Times, I read an editorial discussing the decline of liberal Christianity. The author cited specific examples, such as the Episcopal church. 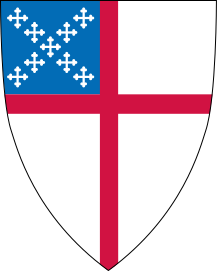 The Episcopal church, as with so many denominations in modern times, has tried to reinvent itself and shed the former prejudices of its past membership and become the cool cat of the 21st century. Yet, this has failed to stop the decline of its membership. Sunday churchgoers have declined by 23% over the past decade. Why? Is it because people in this century are somehow enlightened in ways their forefathers weren't? I think not. If one sells a watered-down product without purpose or meaning, its desire will be minimal at best. People crave substance in this virtual world, something tangible that they can see evidence of working in people's lives. I submit to the reader that most people, regardless of whether or not they agree with you, will be attracted on the basis of integrity. I know I am attracted to people who "speak their truth," whether or not I happen to go along with their point of view. I agree with something I read in that article that I shall paraphrase: it is time to re-introduce religion to some of these bodies. People don't need any more social "do-gooder" organizations, they are plentiful in number and fine as they are. I have been to some fundamentalist/conservative churches that seem to be thriving and also more mainstream liberal churches that can barely keep their doors open. Why is that? Why is the church across the street from where I live in one of the tougher sections of Norwich (where you would think it is needed most) down to a handful of people on Sunday mornings? I've been there a few times and the preacher seems to be a nice enough guy who delivers thoughtful, sometimes entertaining sermons on whatever the topic of the day or scripture happens to elude to. Definitely more thought and discussion should be had on this topic. I hate to see Christianity as I understand and appreciate it disappear and be replaced with some sort of judgmental, 'my-way-or-the-highway' type of faith. If you really preach the Bible and not some "cultish" interpretation of it, you will deliver a message of substance with an undeniable flavor of love. Op-Ed Columnist: Can Liberal Christianity Be Saved?